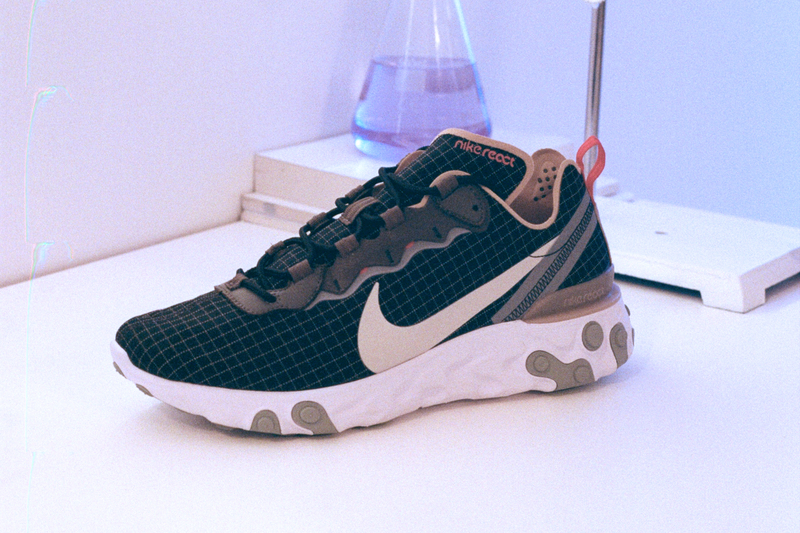 Following the hugely successful introduction of the Nike Element 87 to the sneaker industry (undoubtedly one of the best shoes to come out this year), we’re pleased to uncover our very-own world exclusive iteration of the React Element 55, a runner that takes the DNA from its predecessor and manipulates it into its own significant silhouette. 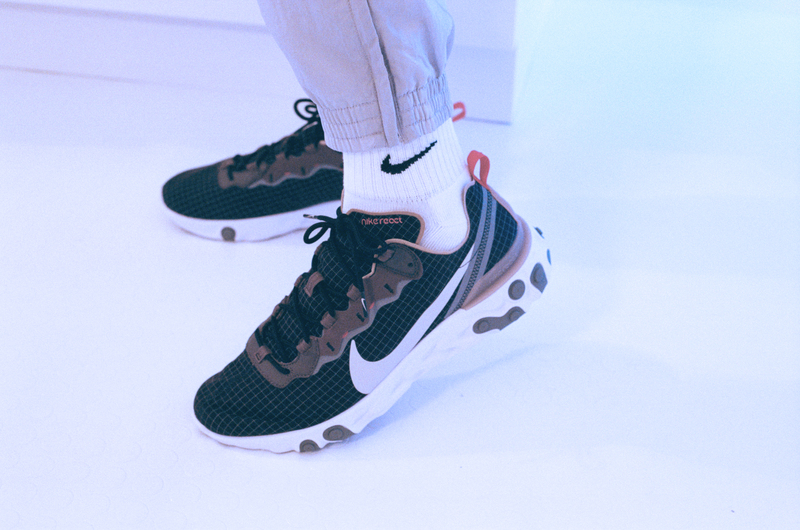 Advanced in its construction, the React Element 55 features responsive REACT foam cushioning and an inside-out “deconstructed” aesthetic. 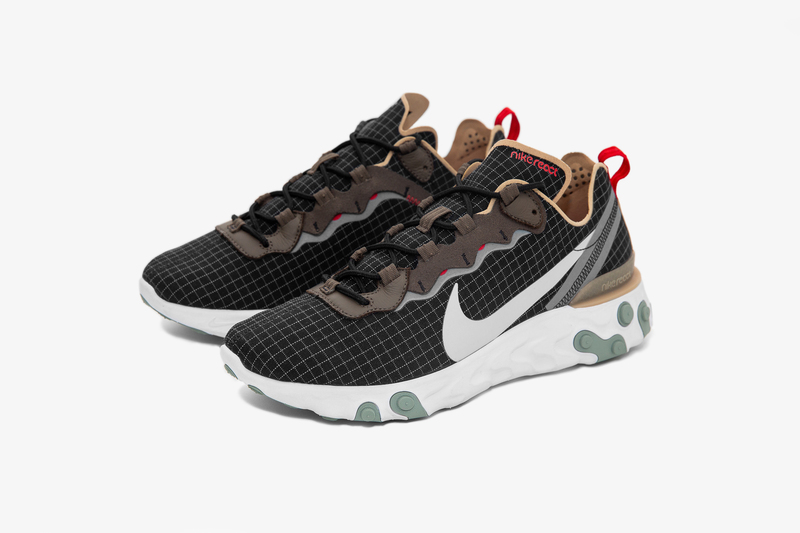 The inspiration for the style came from drilling holes in the foam sole unit, in the aim of attaining more significant levels of comfort while standing, walking, shifting and sprinting. These trials allowed designers to determine which hole depth and densities accomplished their comfort goals. Our size? 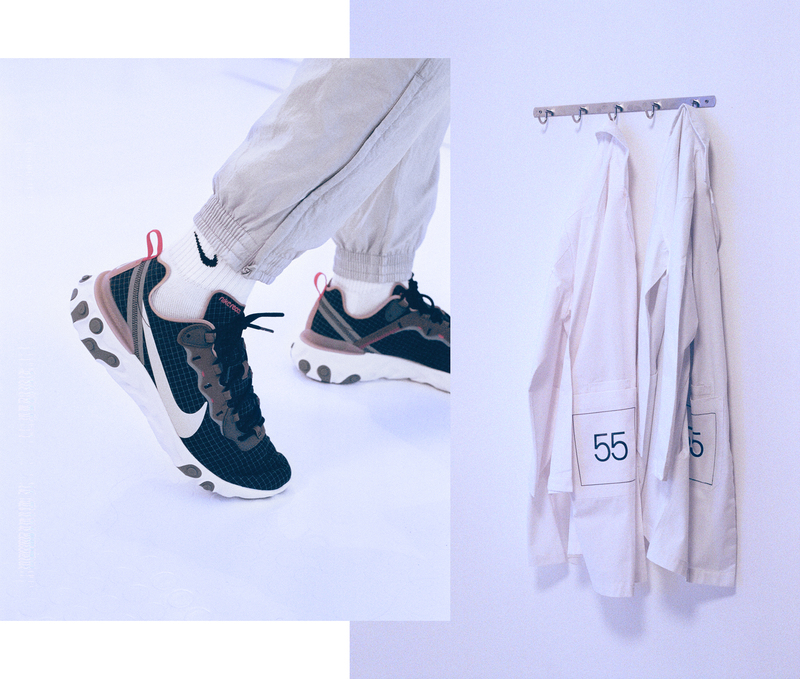 Exclusive colour-up draws outdoor inspiration from the original ‘Escape Pack’ first launched in 1988, pulling colour palettes found across the Windrunner, Lahar and Air Force III. 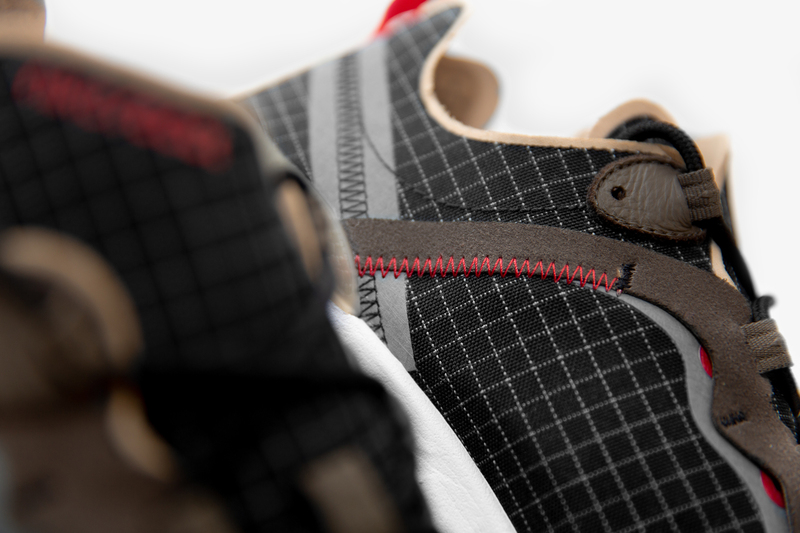 Arriving with a technical aesthetic in mind, the pair boasts an entirely synthetic upper, crafted from a durable nylon ripstop in a black and white grid design, and overlaid with brown synthetic leather and suede to the eyestay and heel. 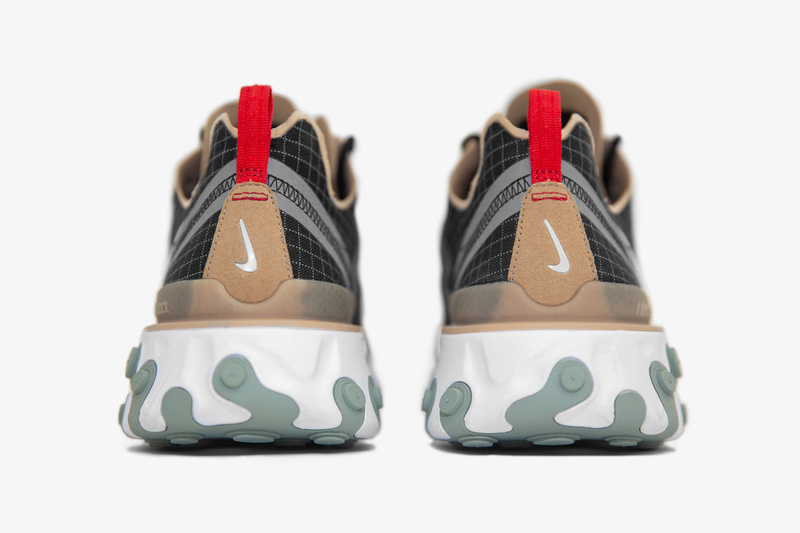 Details are finished off with accents of red arriving on Nike’s Spiral Swoosh and React branding to the tongue, as well as the pull-loop to the heel and reflective 3M taping along the seams. 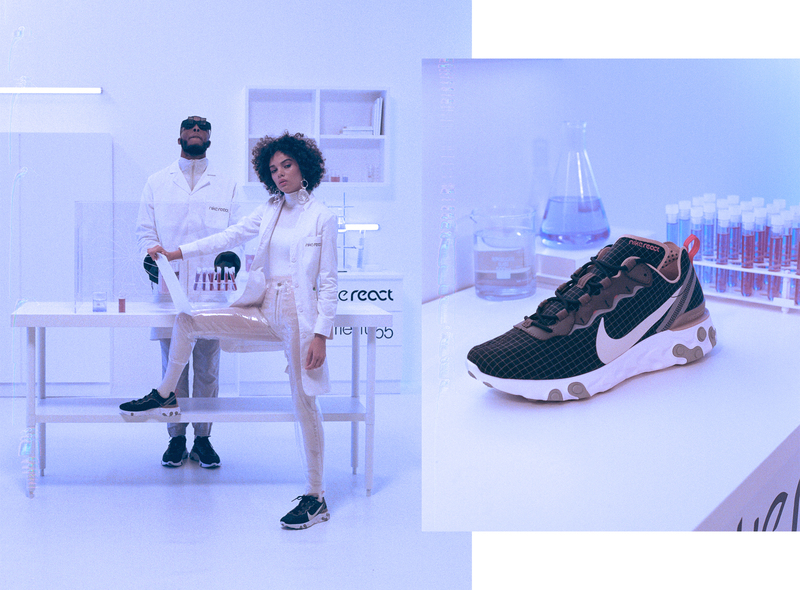 We’re pretty excited to be one of the first to debut this new iteration of the React Element and we’re hyped on how it’s turned out! The size? 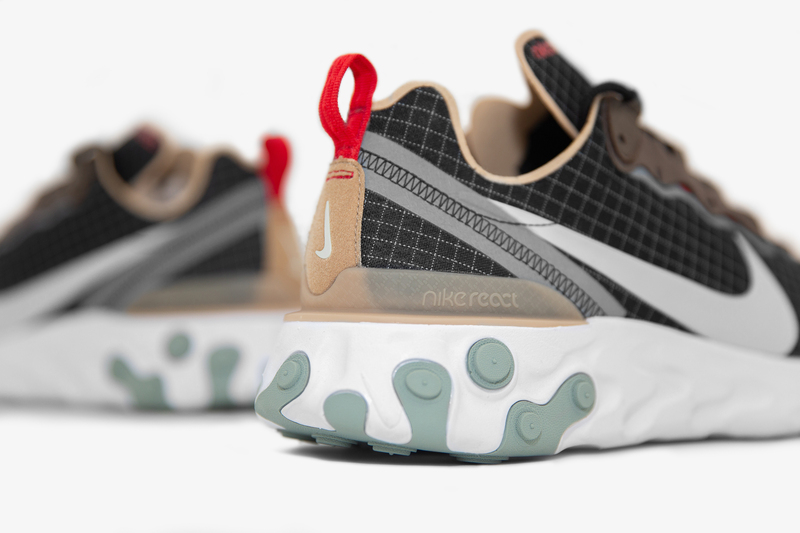 Exclusive Nike Element React 55 will be available via the size?previews app and in all size? 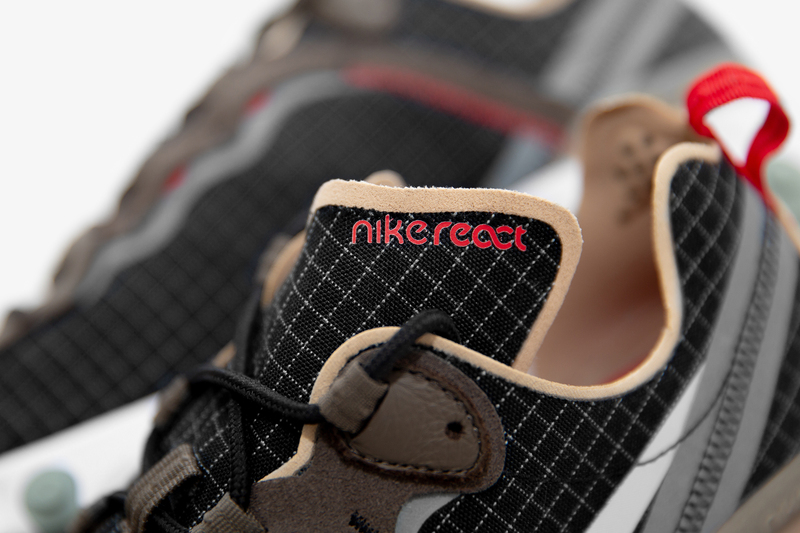 stores on Thursday 29th November, available in both men’s and women’s sizes, priced at £115.